RTA's Dubai Taxi Corporation (DTC) is all set for the new school year 2016-2017 by deploying a fleet of sophisticated, smart buses equipped with state-of-the-art technologies. RTA’s Dubai Taxi Corporation (DTC) is all set for the new school year 2016-2017 by deploying a fleet of sophisticated, smart buses equipped with state-of-the-art technologies. The initiative stems from DTC’s commitment to keep up with the Dubai government’s drive to provide excellent and safe school transport service. Registration is now open for students to avail this school transport service at the schools under contract, where nearly 3,000 students from eight schools have participated in this service so far. 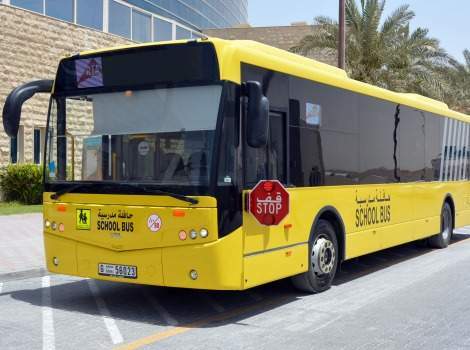 Mohammed Said Al Dhuhori, Director of DTC’s School Transport said: “The DTC considers buying scores of new eco-friendly buses, fitted with the best safety and security means. The new buses would be deployed at the beginning of the new academic year to add up to DTC’s existing school bus fleet to meet the growing demands for transport service. The new buses are equipped with surveillance cameras connected to designated monitors at the DTC’s Control Center.